Set in 33 acres of beautiful woodland with stunning views of the surrounding countryside and a fantastic collection of animals, you can easily immerse yourself in Dartmoor Zoo. 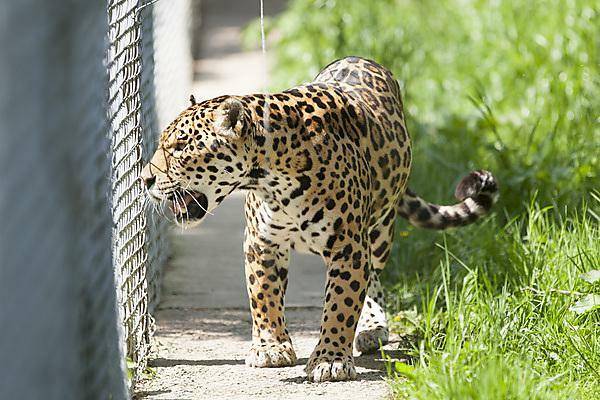 The animals include tigers, lions, lynx, jaguar, bears, wolves, tapirs, capybaras, racoons, meerkats, monkeys, a fantastic collection of bugs and reptiles and plenty of natural open spaces for visitors to simply enjoy the surroundings. Dartmoor Zoological Park came into being in its current form in 2006 when the Mee family came across Dartmoor Wildlife Park, a dilapidated zoo with a poor reputation and in massive financial difficulty. The family bought the zoo, saved the animals, and fought to re-open a year later - a story well documented in the film 'We Bought A Zoo'. Following a Crowdfunding campaign in 2014, the zoo has completed its conversion into a charity, giving it security for the future and enabling Ben to realise his dream to transform the zoo into a centre of excellence for research, conservation, and education. The zoo is now well on the way, having established the Dartmoor Institute of Animal Science and partnering with universities including us here in Plymouth, researching areas such as cognition, behaviour, conservation and animal welfare, and social science projects such as visitor attitudes. Ben Mee received an Honorary Doctorate from the University of Plymouth in 2013, and now conducts inspirational talks and is an ambassador for the charity Brain Tumour Research, an area of expertise in which the University of Plymouth has a world-class reputation. Adam is an BSc (Hons) Environmental Science graduate, and his passion for conservation has taken him to many successes. What made me apply for the course at Plymouth was the practical aspect of it. The modules were adaptable to my work situation and enhanced my understanding of the job that I was already doing. Since graduating in 2016, Coral now works for Dartmoor Zoo as Head of Discovery and Learning, whilst undertaking an MSc in Zoo Conservation Biology. "After a talk that Adam Cook gave to the psychology students about placements at Dartmoor Zoo, I knew that I had to be one of their placement students because I was really interested in the freedom the zoo gave the students to research topics that we are interested in. My role was to conduct research with other students, one of our goals being to help contribute to the zoo's knowledge of the animals and help increase their welfare by learning about and understanding their behaviour. One of the projects that I worked on was investigating whether animals could possess a sense of humour"
Losing his wife to a terminal brain tumour, Benjamin has become an extremely active ambassador for Brain Tumour Research and regularly helps to promote and raise awareness of the life-saving research being undertaken at the University of Plymouth Brain Tumour Research Centre of Excellence. He features prominently in material promoting the partnership between the University and the charity, including a promotional video. 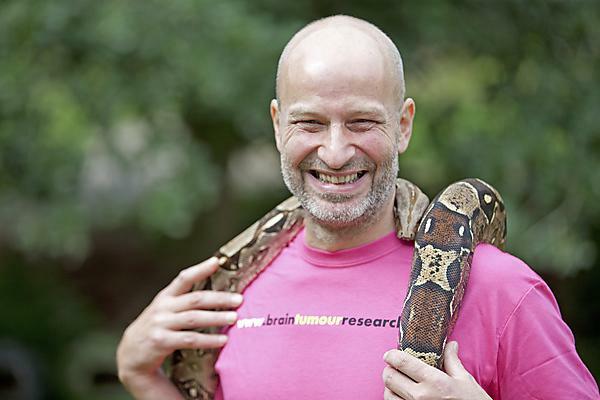 Benjamin attended the Brain Tumour Research Fundraiser with Santander in the summer of 2015 – an event which helped raise more than £5,000 for the cause – and helped the University launch its Shape the Future campaign at the House of Lords. The Zoo is also a key supporter of Wear A Hat Day every year, the charity's major annual fundraiser.